Bold bodylines and in-your-face front grilles are things of beauty that you don’t get to see as often these days. There are two reasons for this, and the first one is that automakers just don’t make vehicles like this any more. Second, these old mid-century wonders are disappearing off the face of the planet as many of them rust away or become piles of scrap. So when you see one of these trucks, not only is it appealing to the eye, it also takes you back to a time when things were simpler. 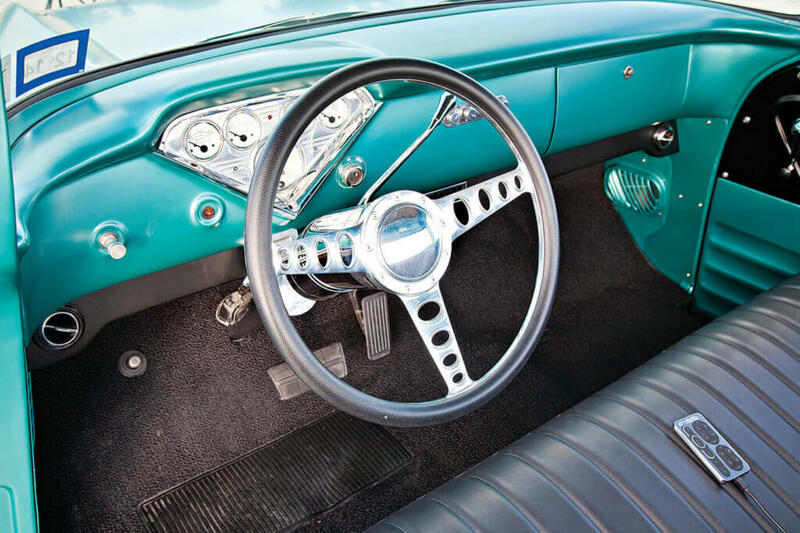 For Danny Castleberry of Forney, Texas, he’s always appreciated older vehicles of this kind. 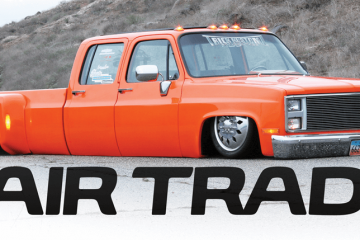 Like many of us, he started his customizing career working on mini-trucks. 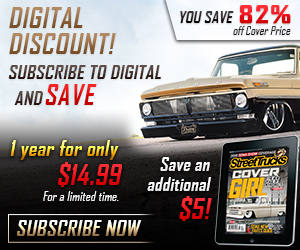 As the market for minis started slipping, Danny moved on and invested his funds in a better way, including picking up rusted old cars and trucks and turning them into modern-day, head-turning cruisers. The plan seemed to work because he’s now able to pull a profit off of each custom vehicle he creates. In the process of building these vehicles, he’s also made a career for himself. During the time he was messing with mini-trucks in his driveway, he started trying his hand at paint and bodywork. 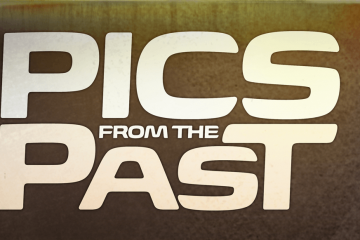 While he was testing the waters in this segment of the automotive scene, Danny picked up tips from more experienced painters and builders, and later started helping a full-time painter. As time went by, he picked up all of the necessary skills to step out on his own. Then he decided to chase after the money in collision repair because the work is steady. Currently, Danny has 16 years of experience under is belt and makes a very healthy living as a painter. 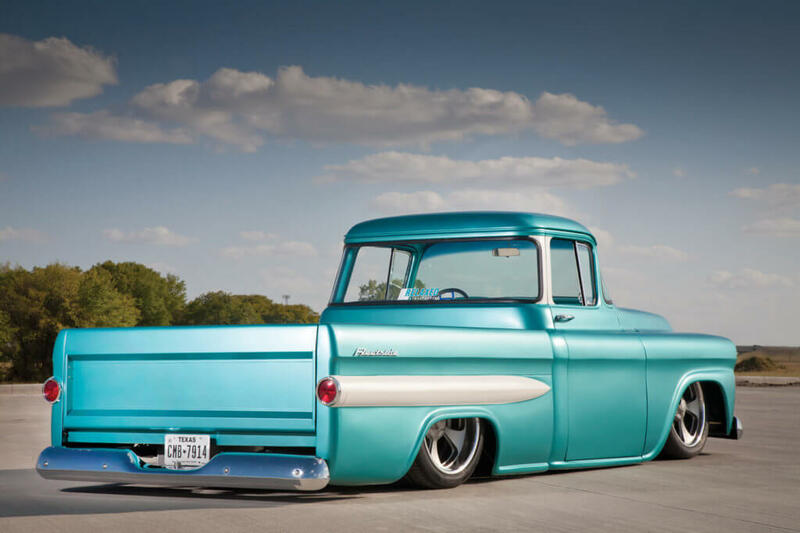 Though Danny repaints everyday vehicles for his job, he bought a home with enough land to build a shop for personal projects, which is where he builds all of his custom vehicles, including this ’58 Chevy Apache pickup. Before he owned The Apache, Danny fixed up a ’72 C-10, but he’s easily bored and eventually sells off most of the vehicles he builds. 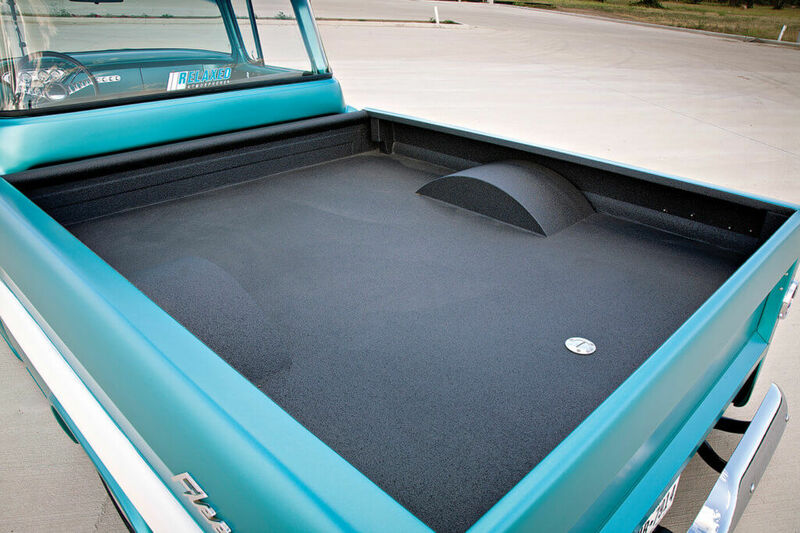 After the C-10, Danny decided he wanted to work on a Chevy truck from the late ’50s. 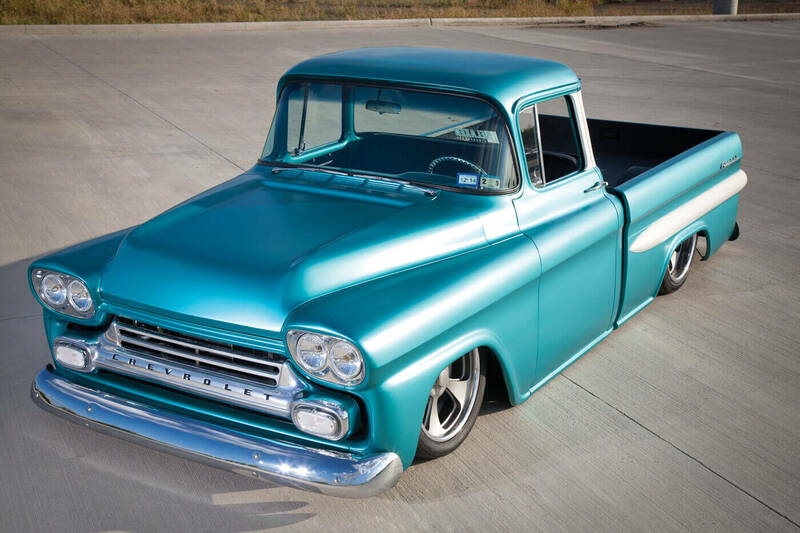 On a quest for his next big thing, he found this ’58 in Amarillo, Texas and picked it up for $5K. 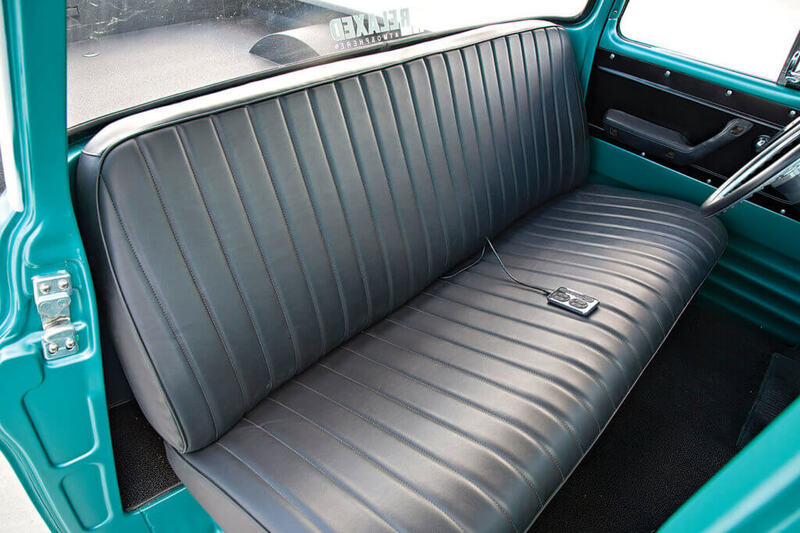 Nothing but the necessities is on the inside. The ididit column and Billet Specialties wheel handles front wheel turns, while the engine vitals are monitored by the VDO gauges. With a blank canvas in front of him, Danny decided he wanted the finished product to resemble the original look with the modern touches of a newer drivetrain and hammered stance. 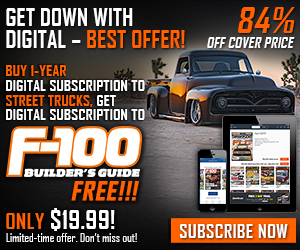 First, he needed to get the truck in decent shape; this meant that most of the lower body sections, like the rockers and bottoms of the fenders, had to be cut off and replaced. Then the small rear window had to go. Danny replaced it with the big back window the truck now has via a donor truck. He told Street Trucks that it was no small feat to graft the larger window into the truck but the effort really paid off in the end. Since he wanted this truck to be so hammered that it rested on the ground while remaining driveable, Danny decided to airbag the suspension. 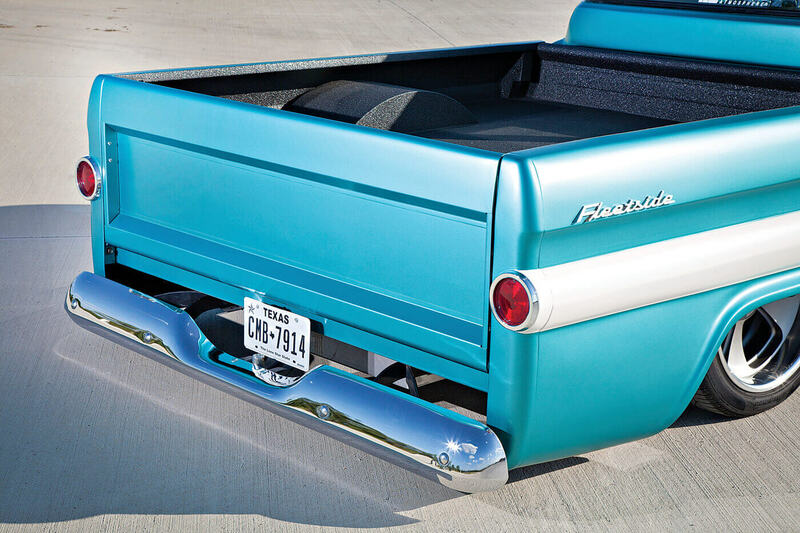 At the time, Porterbuilt Fab had developed a new front a rear suspension system that is simple enough for everyday folks to install in the comfort of their own garages. Danny purchased the kit and gained adjustable height when he combined it with an AccuAir management system. With the press of a few buttons, the truck can scrape the pavement, be picked up for driving and gain enough clearance for big speed bumps and driveways. With the suspension taken care of, the next thing was to power this truck with a modern engine. 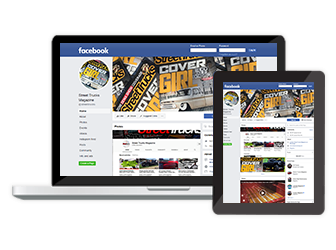 Being in collision repair, Danny has many connections with local junkyards where he can salvage parts. 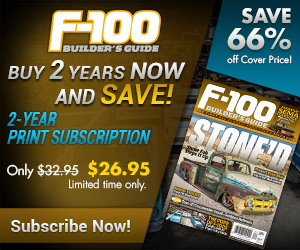 He was able to track down an LQ9 V-8 and 4L60E from a late-model Silverado SS. Going this route gave the truck almost 350-hp that is electronically controlled for performance and mileage. This is all transferred to a Chevy 10-bolt rearend scavenged from a Nova. The engine compartment isn’t covered in shiny accessories; it was kept clean to pull off the illusion that it originally came with this modern LQ9 engine. Though Danny was able to mount the engine to Poterbuilt’s front suspension kit, he was having a small issue. 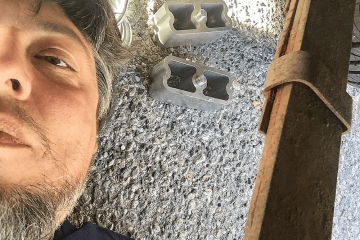 Since he was stuffing a power plant into the truck that was never designed to fit, there were clearance issues for headers or exhaust manifolds. Danny knew Del Uschenko of Delmo’s Speed & Kustom had already solved the problem, so he paid to fly Del out to do the work himself. Del showed Danny that modifying a set of manifolds from a late-model Corvette provides all of the necessary space. As the truck started to take form, the next thing on the list was to finish off its appearance. This included adding a raised bed floor and a Mar-K smooth tailgate and working the body straight. A smooth tailgate from Mar-K with deleted chains cleans up the back end. Danny still wanted the truck to have a factory look with a modern twist and settled on Splash Green paint that originally coated Mazda Miatas. The color looks like an original hue but with metallic accents. Then to really set the truck off, the paint was covered in matte clear. 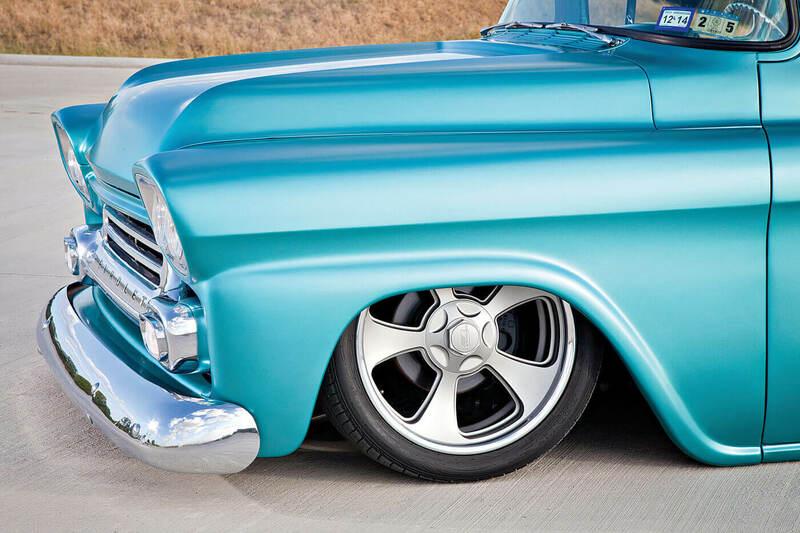 Completing the exterior is a set of 20-inch Billet Specialties Vintec wheels with gray-painted centers. 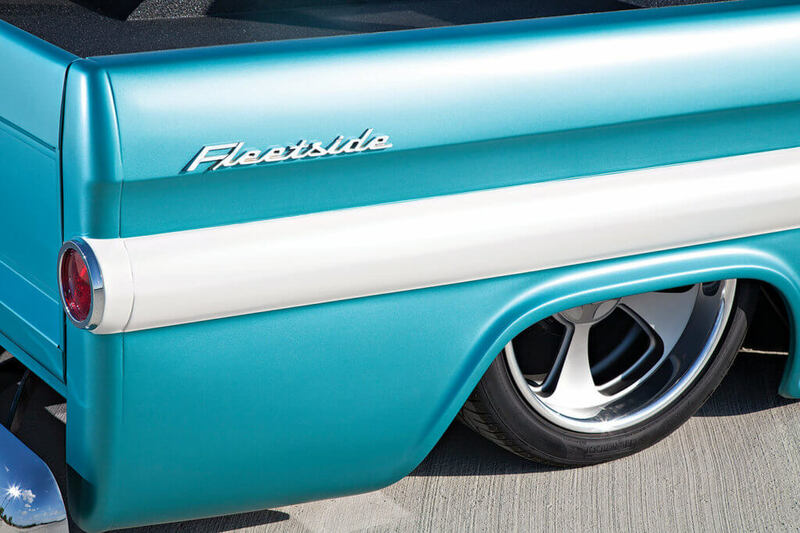 The Billet Specialties Vintec 20-inch wheels with painted centers that resemble old-school Halibrand wheels helped create the retro-mod styling. 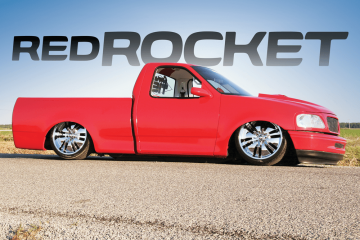 Danny was able to pull off his vision and finished this truck just in time to show it off at the Lone Star Throwdown. He even told us that the deadline was close and the truck wasn’t even given a proper alignment before making the four-hour drive to Conroe, Texas where it made a big debut. Danny continued to display this truck for the rest of the show season and near the end someone wanted it more than he did. A deal was struck and the truck was driven to Alabama with no problems. Unfortunately some low-life running from the cops crashed into the truck while he was doing about 70 mph. The truck is now in disrepair and it’s unknown whether or not it will ever make a return. This is always sad news; however, we did get these photos of the finished truck and can still celebrate it in all of its glory before the wreck. As for Danny, we’re sure he’ll create something else that will wow us in the future. 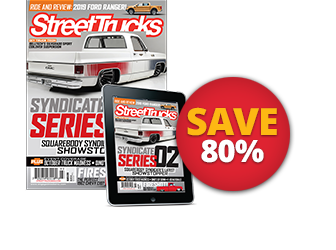 Editor’s Note: A version of this article first appeared in the January 2016 print issue of Street Trucks Magazine.